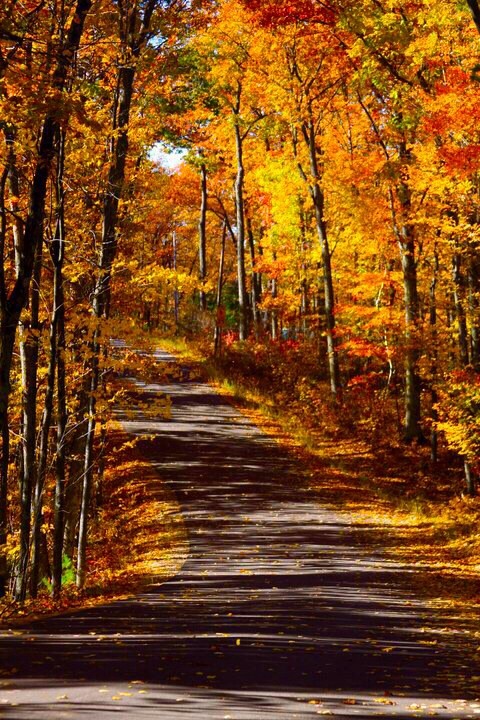 Visitors to the Rhinelander Area will find an assortment of ways to view the spectacular fall foliage. Whatever your mode of transportation, be it by car, bike, or by foot, there are great places in the area where fall awaits you! By Car: We have selected three beautiful scenic driving routes. Each route will lead you back to Rhinelander to continue exploring our area and all of our attractions! By Bike or Foot: Grab your bike or hiking shoes and hit the trails this fall for an up close look at the beautiful foliage. We have a list of trails just for you! Make lodging reservations during the late September and October prime leaf-watching period. 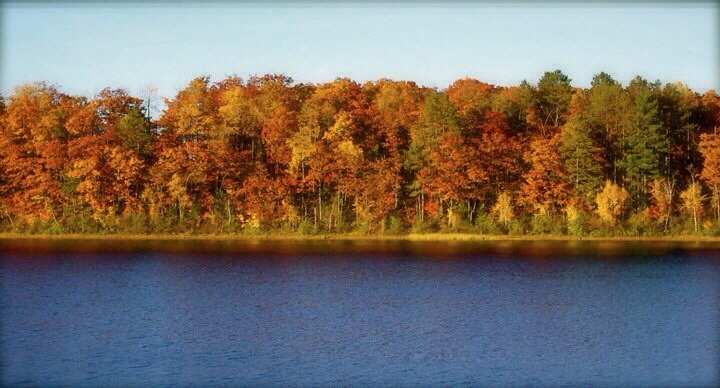 You will find a variety of deciduous trees in the Rhinelander Area that are sure to be a sight. Maples, Oak, Birch, Ash and more will offer your eyes a wonderful variety of colors. Witness dazzling reflections of fall color onto the Wisconsin River by taking a Wisconsin River Cruise. Cruises run through mid-October! Start at the Chamber. Turn left out of the parking lot. Take a left onto Kemp Street. Take a right onto Oneida Street. Stay on Oneida Street which turns into County Highway G. Stay on County Hwy G. Turn Left onto Hwy 45 and follow it into Monico. Turn left onto Hwy 8 West and stay on Hwy 8 until you reach Rhinelander! Start at the Chamber. Turning right out of the parking lot. Follow Sutliff Avenue until Davenport Street. Turn right onto Davenport St. Take a left onto North Stevens Street. Follow Stevens Street to Highway W, take a left. Turn left onto River road. Follow River Road for about12 miles. Turn left on Bridge Road. Follow Bridge Road until Highway 47. Turn left onto Hwy 47 and travel south back to Rhinelander! Start at the Chamber. Turn right onto Sutliff Ave. Turn right onto W Davenport St. Turn left onto N Stevens St. Turn left onto Hwy 17 N, continue following Hwy 17 North. Turn right onto Co. Hwy A Then turn right onto Superior St. Follow Superior Street. Turn right on Cty Hwy C West. Continue onto E Timber Drive back into Rhinelander.